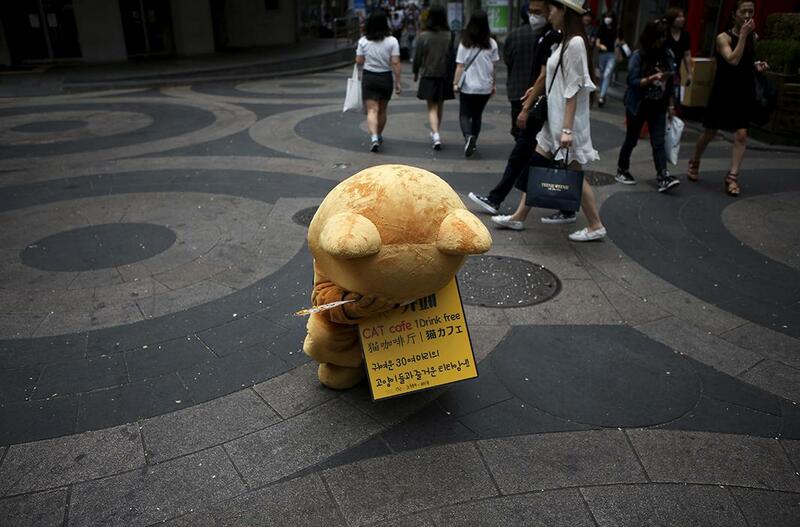 From Seoul to Sanaa in the week in pictures. 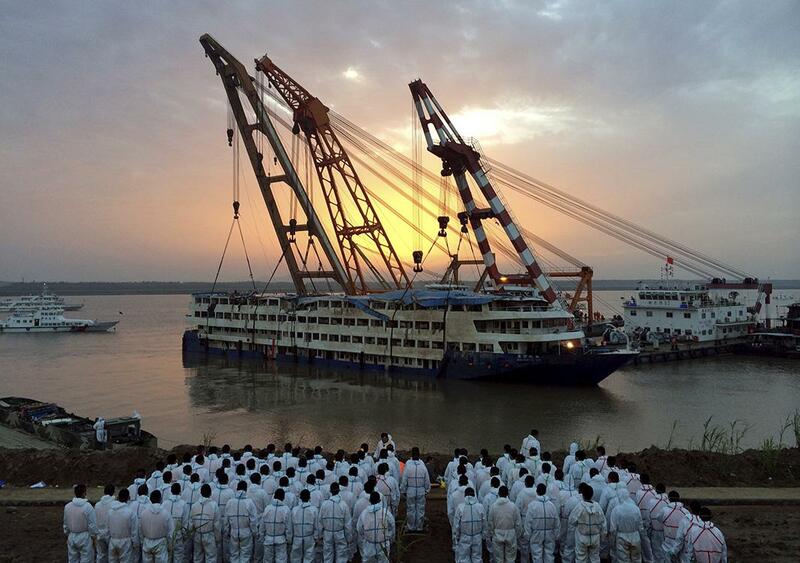 Rescue workers stand on the river bank as the capsized cruise ship Eastern Star is pulled out of the Yangtze against sunset, in Jianli, Hubei province, China, June 5, 2015. Only 14 survivors, one of them the captain, have been found after the ship carrying 456 overturned in a freak tornado the night of June 1. 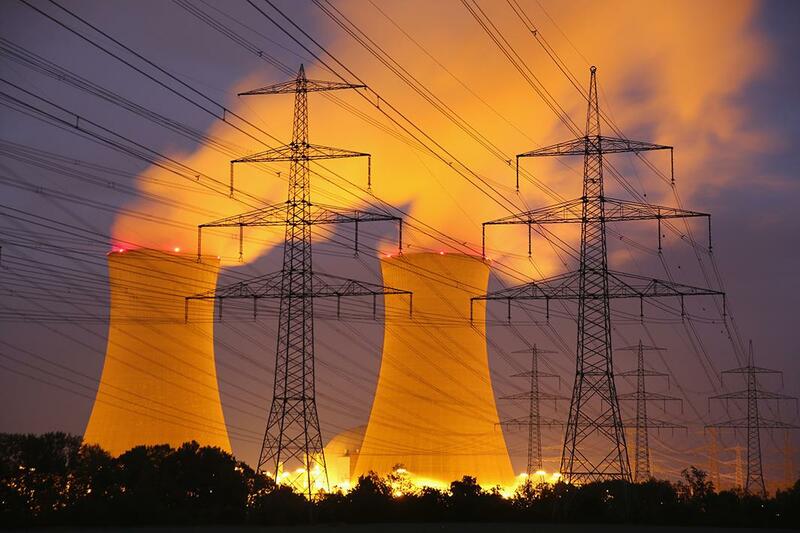 Steam rises from the Grafenrheinfeld nuclear power plant as electricity pylons stand before it at night on June 11, 2015, near Grafenrheinfeld, Germany. The Grafenrheinfeld plant, which is owned by German utility E.ON and has been in operation since 1981, is scheduled to cease operation later this month on June 27. Germany is withdrawing itself from nuclear energy reliance and has established ambitious goals for increasing its capacity of renewable energy sources. 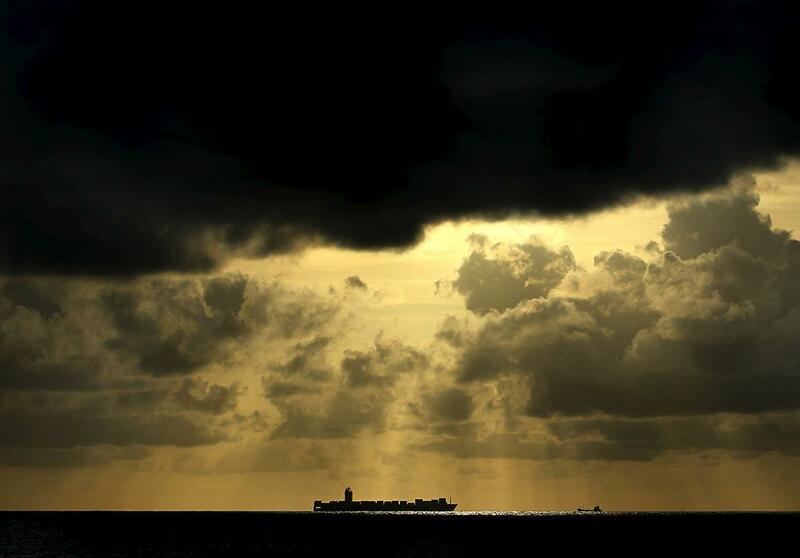 A container ship sails towards Colombo Harbour as the sun sets in Colombo, Sri Lanka, June 9, 2015. Alabaster-skinned people born on a sun-scorched group of islands off Panama’s Caribbean coast are venerated as Children of the Moon. 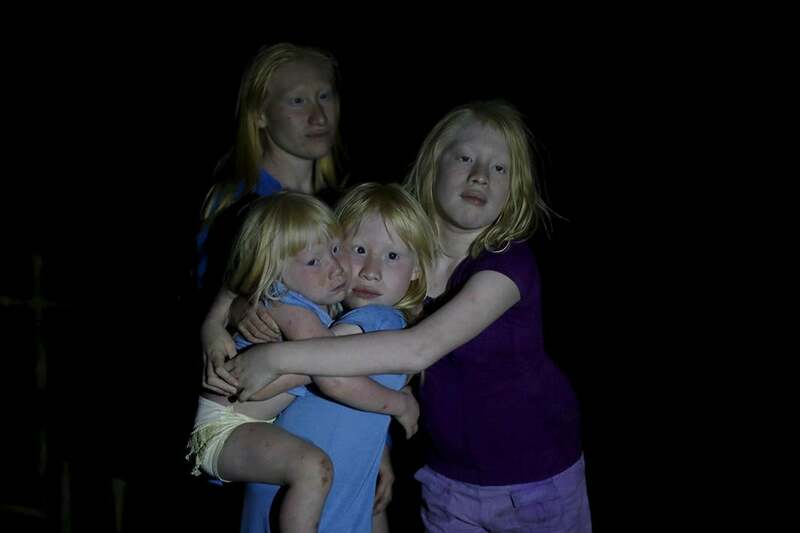 June 13 is International Albinism Awareness Day. Albinos make up between 5 and 10 percent of the roughly 80,000 indigenous Gunas who live on the mainland of the Guna Yala region and its islands. With their sensitive skin and eyes, young Guna albinos must be shuttled to and from school, avoiding the baking heat, while they watch their friends play in the streets. The four sisters, from left to right, Donilcia, Iveily, Yaisseth, and Jade Morales pose for a photograph on Ustupu Island in the Guna Yala region, Panama, April 24, 2015. 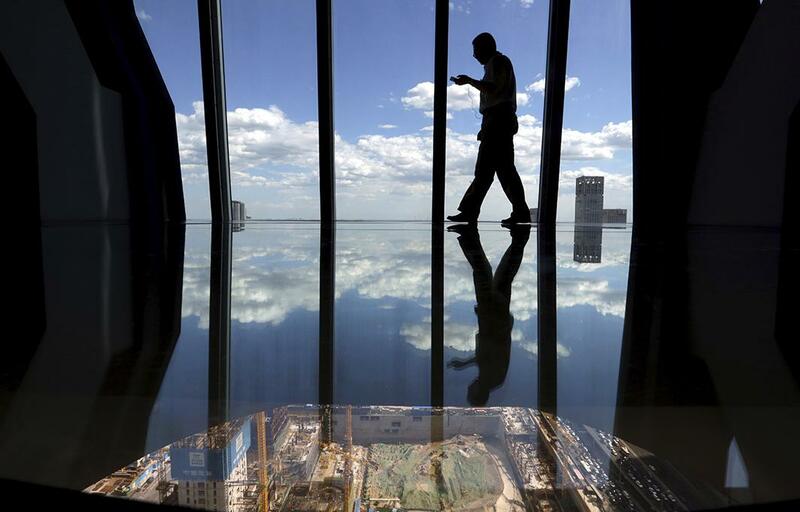 A man walks on the glass-floor area constructed as a viewing point on 37th floor of the China Central Television Tower, next to a construction site in Beijing’s central business district, June 11, 2015. 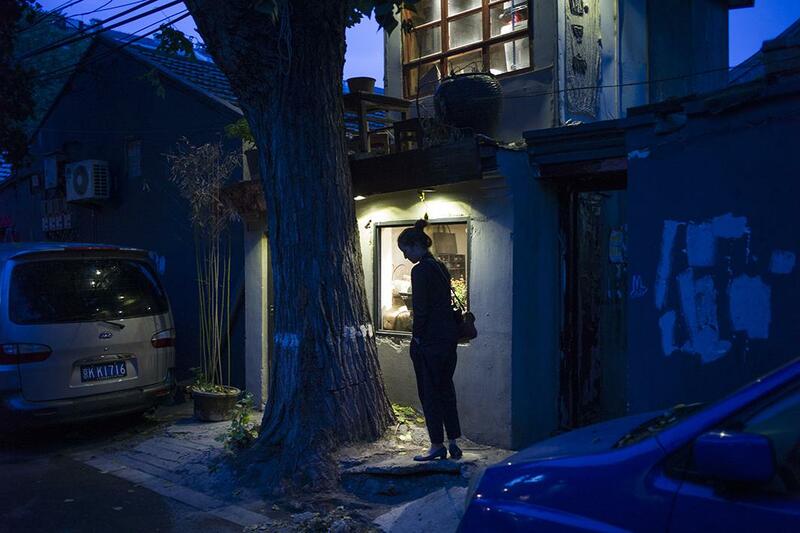 A woman stands in front of a house in a hutong (a narrow street or alley) in Beijing, June 4, 2015. 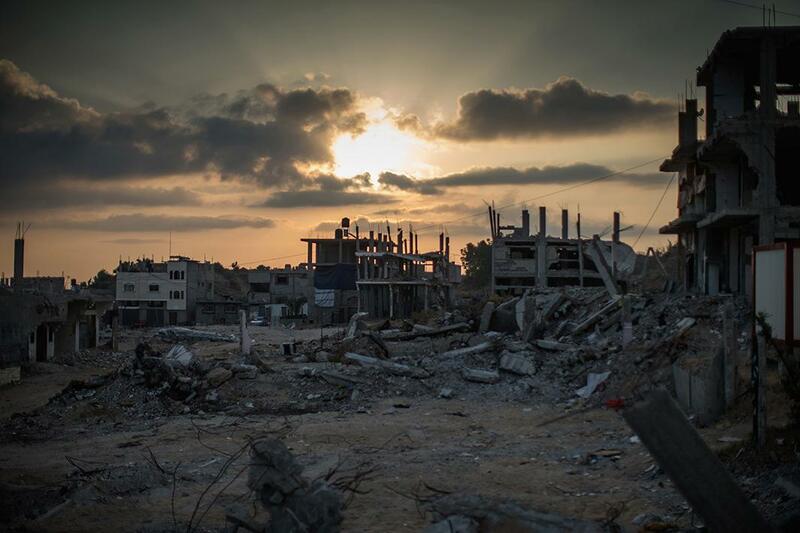 The sun sets over ruined buildings in Gaza City, Gaza, June 11, 2015. Nearly one year since the 2014 conflict between Israel and Palestinian militants, the impact of war can still be seen. United Nations official figures said that the 50-day conflict left at least 2,189 Palestinians dead, including more than 1,486 civilians, and 11,000 injured. Sixty-seven Israeli soldiers and six civilians were killed. A promoter of a cat café sits crouched at Myeongdong shopping district in central Seoul, South Korea, June 11, 2015. A deadly outbreak of Middle East Respiratory Syndrome forced South Korea to cut interest rates on Thursday in the hope of softening the blow to an economy already beset by slack demand, as authorities reported 14 new cases and a 10th fatality. 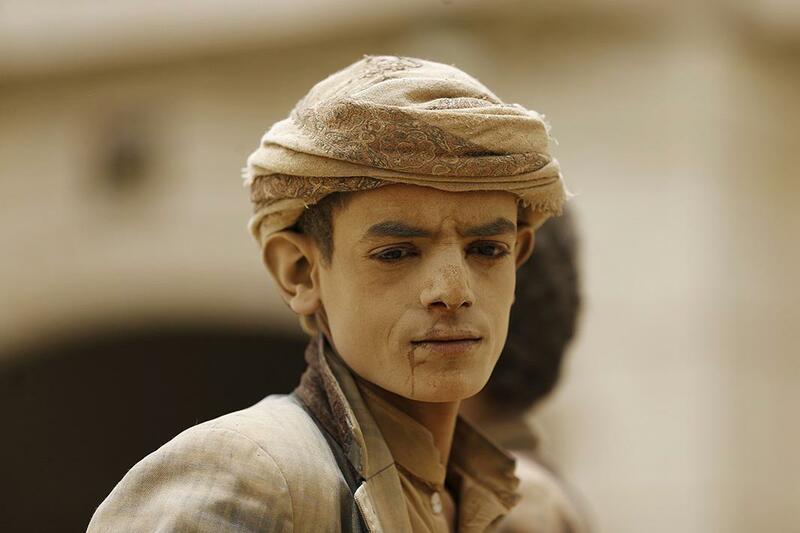 A farm boy, with his face covered with sand, is pictured as he leaves the farm he works on, near Sanaa, Yemen, June 9, 2015. 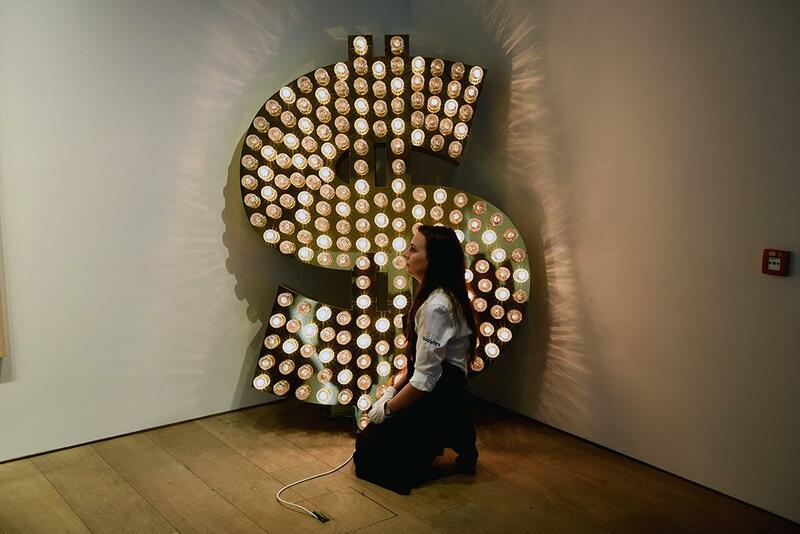 A gallery assistant poses with “$, 2001,” an installation by Tim Noble and Sue Webster that is going on show at Sotheby’s with an estimated value of £100,000 to £150,000 on June 8, 2015, in London. The installation forms part of an exhibition of 21 works inspired by the U.S. dollar that are estimated to have a total value of £50 million and will go under offer by the auction house on July 1 and 2, 2015. 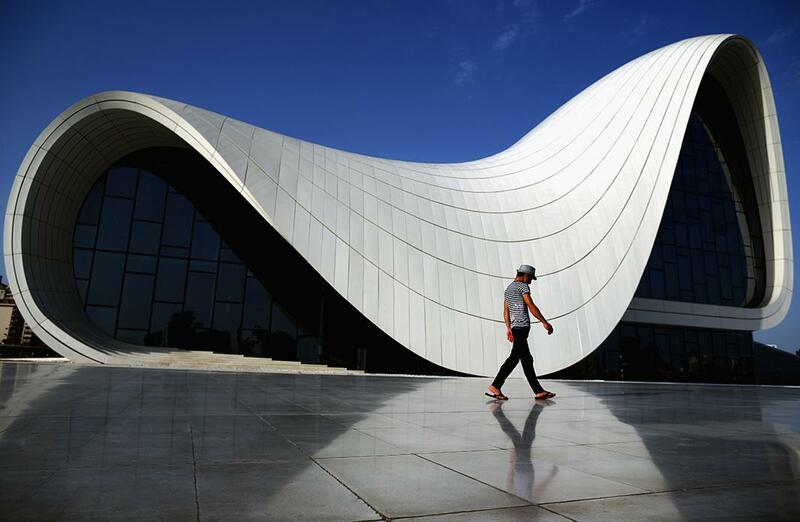 A man walks past the Heydar Aliyev Cultural Center ahead of Baku 2015, the first European Games, June 11, 2015 in Baku, Azerbaijan. 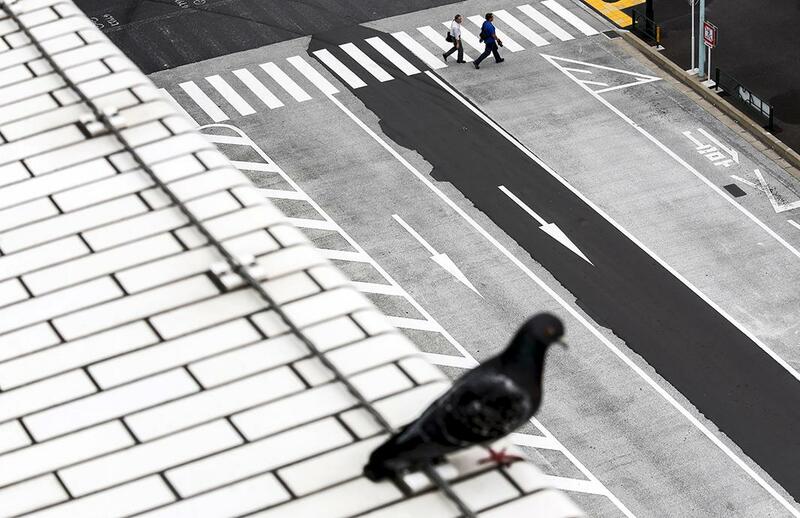 People cross a street as a pigeon sits on a roof in a business district in central Tokyo, June 8, 2015.